Last night at the Capitol Hill Club in Washington, DC, the Eagle Forum Education & Legal Defense Fund remembered Conservative icon Phyllis Schlafly, who passed away on September 5, 2016. Schlafly, the founder of the Eagle Forum, is perhaps best remembered for leading grass-roots campaigns against Communism, abortion and the Equal Rights Amendment. Perhaps less well known, Schlafly was a champion of inventors, and a defender of a vigorous and strong patent system. 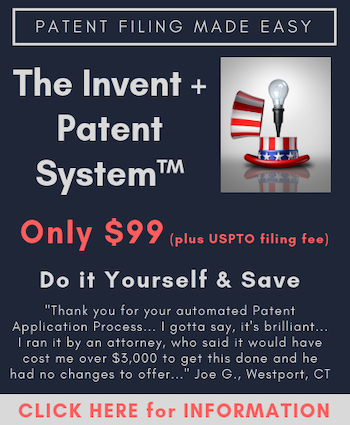 As recounted recently in an article on IPWatchdog.com, Jim Edwards and Peter Harter explained that Phyllis Schlafly opposed the American Inventors Protection Act of 1999, understanding the perils of requiring patent applications to be published prior to a patent being issued. She also opposed the America Invents Act of 2011, explaining that it would lead to Chinese dominance. “Relentlessly and tirelessly, Phyllis Schlafly fought to preserve, protect and defend the world-class patent system the Founders gave us and American inventors of all stripes have taken advantage of, to our nation’s great benefit,” Edwards and Harter wrote. Indeed, Phyllis Schlafly was a giant who well understood the importance of the U.S. patent system, why structural choices were made that lead to a unique patent system compared to the rest of the world, and how vital it was to our national and economic security. In the end, as she knew she would not live forever, she wanted those similarly dedicated to the mission to understand the that work must continue, which was a recurring theme of the celebration and remembrance of Schlafly last night. Numerous dignitaries were in attendance, many who provided thoughtful and inspiring remarks. In the coming days and weeks we will circle back to those very important speeches, by Congressman Dana Rohrabacher (R-CA), Congressman Thomas Massie (R-KY), Congressman Dave Bratt (R-VA), Chief Judge Paul Michel (ret. ), Pat Choate, Peter Harter, Kevin Kearns, Ken Blackwell, Laurie Self, and both Andy and John Schlafly. What follows is a picture diary of the event. Stay tuned for more! Andy Schlafly, son of Phyllis Schlafly, leads the assembly in the Pledge of Allegiance. Ed Martin far right. Congressman Dana Rohrabacher (R-CA) delivered the keynote speech, a fiery defense of a strong U.S. patent system. Jim Edwards, advisor to the Eagle Forum on patent policy. John Schlafly, son of Phyllis Schlafly. Congressman Dave Bratt (R-VA). Chief Judge Michel (CAFC, ret.) in the background. Pat Choate (center) discussed the dramatic decline in percentage of independent inventors receiving patents in America today. Ken Blackwell (right) and Kevin Kearns (left) look on. Peter Harter (left) is introduced by Congressman Dave Bratt (R-VA). Harter would talk of the need to push the Trump Administration to abandon the patent policies of the Obama Administration, particularly with respect to the PTAB. Chief Judge Paul Michel (CAFC, ret.) spoke of the need for Congress to overrule recent Supreme Court decisions to stabilize the U.S. patent system. Congressman Thomas Massie (R-KY), himself an inventor with 29 patents, spoke of what patents mean to inventors and debunked the myth that inventors will keep inventing even if no patents are available. Ken Blackwell (left) with Paul Morinville (right). Alden Abbott (Heritage Foundation) and Laurie Self (Qualcomm). Congressman Thomas Massie (R-KY) chats with inventor Paul Morinville, Managing Director of U.S. Inventor. Left to Right: Paul Morinville, Renee Quinn, Terry Fokas (Parallel Networks) and Stephanie Fokas. The Fokas’ were major sponsors of the event. Reminds us all that there is more than one way to serve one’s country. While our soldiers are fighting overseas to supposedly defend our Constitution, there are others fighting on the home front to keep America great by sticking to our Founding Fathers’ advise that we should “promote the progress of science and the useful arts” by maintaining a strong and secure patent system. Some may say she was a “giant” but her description of creationist nonsense as inclusion of the “full range of scientific views that exist” was a giant pile of hogswalop. There is nothing in creationism or crackpot “intelligent design” so-called theory that qualifies as a scientific view. Her statement that “quality science education should prepare students to distinguish the data and testable theories of science from religious or philosophical claims that are made in the name of science” was a towering example of doublespeak worthy of the Ministry of Truth. Ah. And so too are the “fundamentalist building blocks” of science and human ingenuity that the SCOTeti lug around worthy of such acclaim.